Baby will look so elegant in this timeless classic! Inspired by the smocked rompers that were popular in the 1940's. 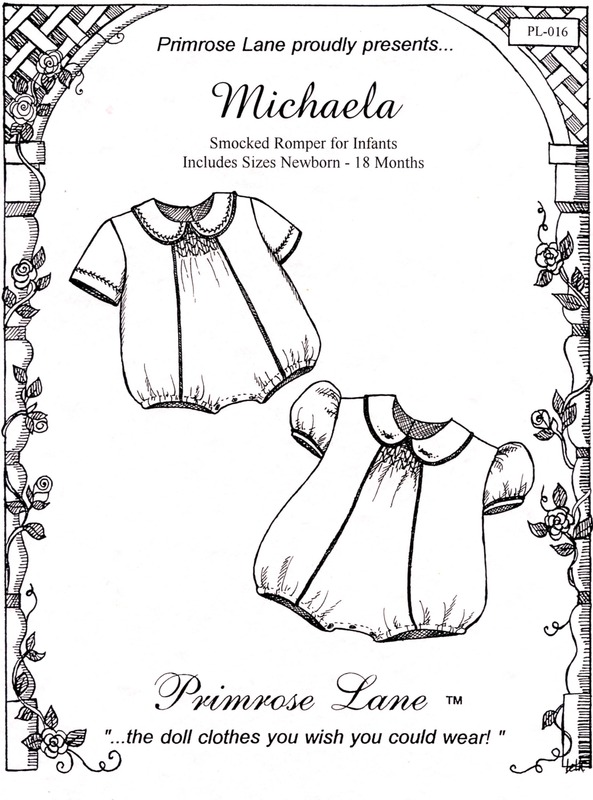 Michaela features a smocked front panel, peter pan collar, and optional embroidery. Both the collar and front panel are bordered by contrasting mini piping. The pattern includes both a girl's puffed sleeve and a boy's straight sleeve. A simple smocking design is included. Elastic at the legs and a snap crotch make this romper comfortable for Baby and convenient for Mommy! 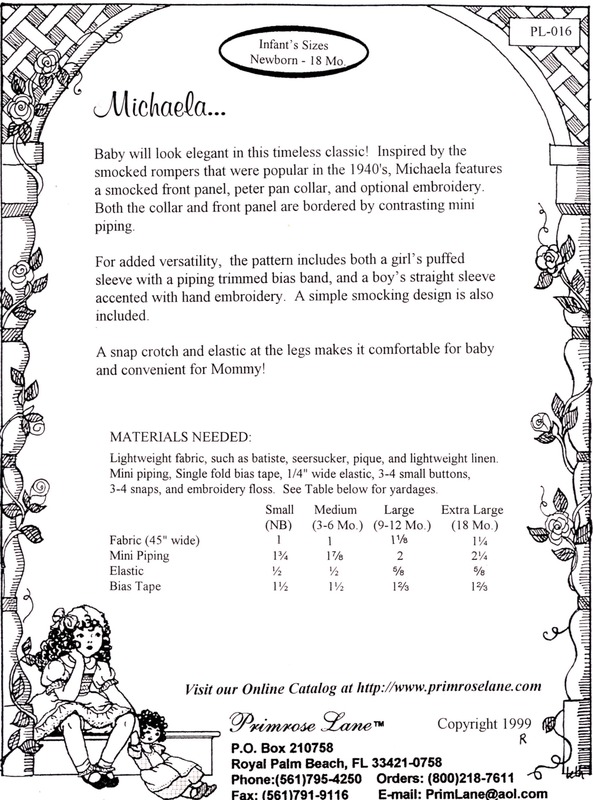 All sizes newborn – 18 months are included in one envelope.